A few days ago, we brought forth the idea that Buick is well on its way to becoming a crossover-only brand in North America. In case you didn’t read that article, you really should stop, read it, and then come back here and read the rest of this story. Go ahead, we’ll wait. But in case you don’t feel like doing that, here’s a quick synopsis. The Buick Verano was the first Buick sedan to get the axe. The LaCrosse has been confirmed for discontinuation later this year, and all signs point to the Buick Cascada living out the same fate. That leaves only the Regal as Buick’s only non-crossover offering – and its future is on somewhat shaky ground. 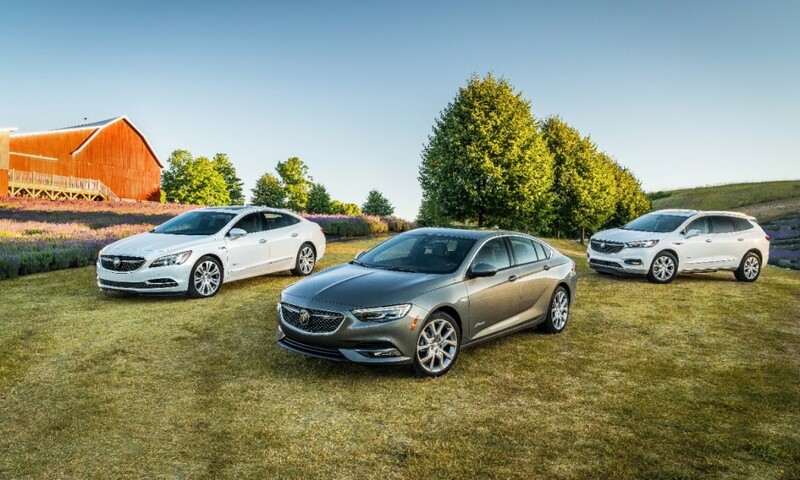 That’s because the entire Buick Regal family – the Sportback, GS, and TourX – is being built at the Opel Rüsselsheim plant in Germany, which is operated and owned by PSA ever since GM sold its Opel division to PSA Groupe about two years ago. And with sedan sales taking a major beating in terms of sales volume, who knows how long the Regal will continue being around. But even if Buick were to one day become a brand whose lineup consists entirely of crossovers, would it be such a bad thing? After all, focusing on crossovers might be a more lucrative strategy from a financial standpoint. And all that brings us to the question du join: how do you feel about Buick potentially becoming a crossover-only brand? Vote in our poll below, and then sound off in the comment section. Once you’ve done all that, be sure to stay tuned to GM Authority for more Buick news. As long as Buick continues to be GM’s GEO division of the 2000s. I want no part of it. When they start producing these SUVs/CUVs in the US or Canada, I will consider them. Most of the vehicles GM sells in the U.S are built in the U.S. While most of the imports are imports. If the brain dead loud mouths on auto websites actually bought American made vehicles, GM wouldn’t be shutting down 4 factories. – the Envision, imported from China. LaCrosse was an Opel design, Regal’s an Opel, the non-sensical Verano was an Opel, and the Cascada is an Opel drop-top made in Poland. Buick was fortunate to have a 3-CUV lineup early-on (two of three are imports). Most dealerships that I see offering Buick also offer GMC. It could be redundant if GMC keeps offering CUV’s. If they shift GMC to mostly SUV’s, it could be a good thing. CUV’s are the new people haulers. The basic family sedan doesn’t provide the room, visibility down the road, or any towing capability (not in recent years). I think there is room at a company like Buick for 1 performance sedan and one performance coupe/convertible. I believe the true problem is with the same small dealership selling a Denali CUV and an Avenir CUV…..at least until GM can provide greater differentiation between them. Exactly, there is way too much overlap between Buick and GMC product. Clearly they utilize unique design and a few distinctive features such as air ionizers but, overall, we’re dealing with a lot of redskins at a premium price. GM is making money but is this a wise allocation of capital. Furthermore GMC must become GM’s answer to Jeep as opposed to a Toyota or with Delano a Lexus rival. Buick also needs to push further upmarket as the American Lexus while allowing Cadillac to push further upward. GMC must be the fun Jeep or Rover or Hummer-like division. I’m no fan of a CUV only Buick. As car sales are now 30% off all sales and as they continue to decline and as Good Buick sedans sit to rot on lots there is no other choice here. I saw it last year at the auto show you had to wait in line to sit in the Enclave but I could have sat and eaten my lunch in the Regal as no one was there or cared. This is one of those decisions that is clear and has been made by the market. Now if Buick had two sedans now selling like gang busters you keep them but to dump more money into a type of vehicle clearly not in favor with the market would be a fools mistake. Even the Cadillac cars are a risk but at their price point and style the RWD sport luxury sedan will still move in volumes at a price money could be made. Hmmm, I would say that half the vehicles classified as Crossovers or SUVs are little more than a hatchback wagon. So what we are really talking about is seat height and a trunk. I have always preferred a wagon. All the way back to when I watched the world go by backwards feom the third row. Given that seemingly most of the country has no idea that Buick still exists, I don’t think it makes a bit of difference what they offer. I like my Lacrosse premium. Cost and features, ride, seating and even handling. SUV’s are for those who cannot, or do not like to drive a vehicle. I have yet to drive or ride in an SUV that sells as around comforting as a good sedan. For practically I would take roominess of mini van over a suv. Cars – sedans – aren’t dead, American sedans are dead. Camry, Corolla, Civic, Accord, Maxima, Sentra, Elantra, Sonata, Maxda 6, BMW 3,4,5,etc series, MB C,E,S class. I could go on and on. No one is axing any of those. Because those are products people WANT to buy, products people are proud to say “Yeah, I just got the new…Accord.” When is that last time someone was PROUD to share they just bought a new Taurus? Or Impala? I don’t know about Taurus, but for Impala the answer to that question would be 1996. Chrysler is offering a car lineup that’s aged and of marginal, at best, quality- yet there’s a line of customers out the door, because it’s a product people WANT and are excited about. This isn’t about shifting demographics or people turning their backs on cars in favor of S/CUVs. This is people turning their back on products that aren’t what they want, and taking what’s less offensive. If the Impala was on a RWD platform and offered the LT1 option, it would not be a lame duck today. American cars aren’t dead. The Detroit companies just chose to quit selling them until market conditions improve. Respectfully, the market conditions are what they are because people chose to stop buying American cars. Then Detroit chose to stop building them. When Detroit chooses to build cars Americans want, the market conditions will change. GM doesn’t have sufficient market share to warrant more than one large car – the Malibu. Mid-size “economy” cars like the Verano are money down the drain. From an enthusiast stand point (and soon to be former GM fan), I think GM should have made Buick their BMW fighter. Create a similar line up as BMW with performance variants and upmarket appeal (Including the god awful CUV’s). Cadillac should be their ultimate luxury division with no compromises. A Mercedes fighter for the most part. They need to seriously work on their interiors if they want to steal sales away from the Germans. They could use a serious reality check and they need to learn how to lead again instead of follow. From a business standpoint, Whatever is “trendy” is what they need to be selling right now. I don’t think you can make the Buick brand trendy enough to sway the average CUV buyer from other brands (At least not quickly). In today’s technology infatuated world, the unfortunate truth is that they would have to shill the crap out of the sites the average CUV buyers go to and get them to “believe” that “Buick” is the “best” company to buy a CUV from. It’s pathetic but it’s how it is done now. Lastly, I [email protected]#$ing HATE CUV’s and MINIVANS!!!!!!!! I have purchased buick sedans & chevrolet pickup for years. Gm”s choice to stop making the lacrosse has me buying a foreign sedan & pickup. Catastrophically bad quality on my current pickup and Suburban will have me buying something besides GM next time. When is the last time you had to replace a torque converter in a <3 year old vehicle? For me, it's this week – in the Suburban's 6L80. A few months ago it was in the Sierra's 8L90. HVAC repairs, master cylinder, window regulator, fuel pump relay. Maybe on the e parts, but I doubt the torque converters and condensing coil came from Asia. I think it’s a big mistake to be an SUV/CUV only brand. Bring back the Park Avenue and LeSabre! These were two of Buick’s best. We have one of each and refuse to let them go. There’s nothing like that boulevard ride with a 3.8L V6 that can deliver 30mpg on the highway. And there’s nothing that won’t fit into those cavernous trunks. Look if you want to get cars back on the map convince the market to buy them again. Want a Park Ave find 250,000 people a year to buy one and they will build it. Look I have nothing against cars and I do miss many of them but you can not expect companies to build what the market is moving away from. GM tried to stay the course in spite of the market in the 70’s with large cars. How did that work? The new Enclave is a park ave just taller with a Hatch and much more utility. That is what people are buying. We saw this coming. The HHR was nothing but a Cobalt wagon. It sold in numbers a Cobalt wagon would have never realized as it moved in great numbers. Again GM is making a tough decision years ago they would not have made and this tim3 they are on the leading edge of it vs years behind. I would keep the Regal in the lineup. I would add an Avenir version of the TourX with the V6. Next gen Regal should be electric. If the market changes in the furure, I would expand the lineup to include a coupe and convertible. The rest of the lineup can be crossovers. Latest data I could find…in the first half of last year, the top 5 selling cars in the US averaged nearly 26,000 sales per month each. GM, on the other hand averaged about 4,500 Impala sales per month, and barely 1,000 LaCrosses (the #1 selling Buick car) per month. The #1 selling GM car – the Cruze, which, ironically, was canceled – came in at #9 on the list, with about 11k sales/month. In the same time frame, Toyota sold more Camry and Corolla cars than ALL GM cars combined, as did Honda with their Civic and Accord cars. It’s not that cars aren’t selling…it’s GM cars that aren’t appealing to people interested in a car are not selling. Not saying Impala isn’t (wasn’t?) a good car. I drove one last week as a rental (while Suburban was in shop for failed TC diagnosis). Comfortable, economical, quick, roomy, great driving dynamics. Too much road noise. But that’s not the point. It’s not a car I would BUY. It’s not a car most people would buy when there are better choices. If, IF, it were RWD with a LT1 & 10L90e, AND had all of those aforementioned positive attributes, it would be at the top of my list. But, as presented, it’s like a girl that’s not ugly with a job who doesn’t burn dinner…nice, but not enough to close the deal. My 2014 Buick LaCrosse had over 300 hp and handled beautifully. It was fun to drive, fast and nimble. I would have kept it for ten years, but, someone crashed into it and it was totaled. The Envision SUV is fun to drive and has good pick-up, but, no SUV can compare to a good sedan for those who enjoy the driving experience. I am on my third Buick vehicle & also had a GMC Acadia as well. Prior to that was Pontiac Oldsmobile. I found they were all good by vehicles. Personally, once I started driving SUV’s or Crossovers, I would have a hard time going back to a car. I like the height to get in & out, easier to be get as child or baby out of their car seats & to load & unload groceries. I have recently ridden in a Lacrosse & also a Malibu, but too low to the ground. Feels like you are just hovering above the roadway. As long as I can afford a crossover or SUV, that’s what it will be for me. I have enjoyed owning the Encores. Perfect height level for me & economical. A very short pause may be acceptable. But what the really need do is build some of the stunning RWD concepts from a few years ago utilitzing the upcoming Cadillac platforms. Exactly! Build cars that people WANT. I own a buick encore and I LOVE IT!!!! Buick has come a long way….its no longer my frandfather’s buick!!! I can honestly say that this is one of the best cars I’ve ever owned. I love my. BUICK ENVISION ESSENCE, WOULD BUY ANOTHER, easy to get in and out. Great visibility.